Honourable Asot Michael Minister of Tourism, Economic Development, Energy and Investment Speaks At The Annual AHTA Awards Gala. Good evening everyone. I am very pleased to be asked to share a few of my thoughts with this distinguished and accomplished gathering, tonight. As this administration strives to Antigua and Barbuda into an economic powerhouse, the Ministers of Government recognize that the actual heavy lifting has to be undertaken by those men and women who excel in this industry. Tourism is the engine of growth and the industry that will continue to bring us wealth and opportunities. You have been responsible for nurturing the industry by offering excellent services, and I applaud you for your outstanding contribution to our economic growth. Excellence is our administration's watchword; and, from the composition of the gathering of workers before me, it is evident that high performance is also the essence of your creed. I applaud each and every one of you for promoting Antigua by delivering excellent service to your customers. As we are all aware, Antigua competes with more than 20 Caribbean destinations to attract customers to its shores. The easiest customer, which any property can attract, is the loyal customer who so enjoyed the last visit that he will come again and again. You are the key to ensuring that the customer becomes loyal to our destination. And, you have performed exceedingly well. The evidence of that claim lies not only in the repeat visitor arrivals, but also in the level of satisfaction which outgoing customers reveal. These annual award ceremonies help to strengthen the resolve of staff to provide excellence in performance,always. Managers must therefore seek without surcease to find new methods of incentivizing excellent performance. I am pleased to join in this celebration tonight, since it serves as a clear indication that the AHTA is engaged in a beautiful exercise, filled with the wisdom of experience. I congratulate those who have played a pivotal role each year to make this program a reality. Colleagues and Friends: Antigua and Barbuda has invested in a new air terminal at a cost of nearly $100 million US dollars. We have received very high grades for the excellent standard established by that terminal. We have succeeded in attracting five new airlines that will provide additional airlift. In our administration we say that: Failure Is Not An Option. Thank you very much, and congratulations to all. I am very pleased to be here for this 4th Annual Sandals Resorts Industry Appreciation event. I am especially delighted that tonight we honour the best and brightest in the Tourism Industry. Let me start by acknowledging the diligence and creativity of tonight's awardees who have not only uttered words, but who live by them. The standards set by Sandals for its management and staff are extremely high. Therefore, we know that the awardees are of the highest calibre and they deserve our deepest admiration and our loudest applause. Ladies and Gentlemen, particularly those who are visiting our shores, I welcome you to this event and to Antigua and Barbuda. I especially welcome the more than 100 principals of the top global tour operators as well as travel partners and friends of Sandals Resorts. It is also good to see Butch Stewart and Adam Stewart. We are pleased to see you in this, your second Caribbean home. You have honoured us by choosing Antigua Sandals Grande Resort and Spa as the host for this event. We view that choice as a tribute to our country and to your own high regard for this resort as a dazzling jewel in your shining crown. Antigua and Barbuda are incredibly proud to be the home of one of a select chosen few of the Sandals Resorts brand. Sandals Resorts has time and again throughout the years, since it was founded in 1981, been the leader in the important tourism product of the “all-inclusives”. Let me congratulate you on your wisdom and good taste! Sandals Resorts are the leader – not the follower in the industry. As Butch has said before, “Imitation is not innovation. Exceeding expectations remains the philosophy that drives anything we can do.” Sandals Resorts are at the highest echelon in providing service. Whether it is providing the best beaches in the Caribbean – which we know something about here in Antigua and Barbuda as we have 365 of them – or providing more quality amenities and services than any competition across the world. They are continually innovating and improving to provide the best experience possible to their guests. And, of course, above anything else is the Sandals hospitality for which not only is Sandals Resorts renowned for, but has been recognized and awarded time and again throughout the years. I know tonight is not about Butch, but it would be remiss if I didn't take this opportunity to acknowledge his vision and leadership, without which Antigua and Barbuda would not have one of the leading properties in the world as a draw to attract thousands of tourists annually. Not unusual, but still incredibly notable, Butch was born in modest beginnings and began working at the young age of 17 as a salesman, where, through hard work he quickly achieved success that allowed him to leave and founded his first business, Appliance Traders, Ltd in 1968. Through his vision, and belief in this vision, he bought his first hotel in Montego Bay Jamaica, which he renovated and re-opened as the all-inclusive Sandals Resort Beach Club. As we all know, the hotel business is not for the faint of heart, and as providing the best service for all of his guests was part of Butch's business model from the beginning. In spite of the initial hiccups, he stuck with the plan and through faith and perseverance, was able to build a profitable model for Sandals Resorts. By 1984 he was appointed president of the Jamaica Hotel and Tourist Association, for his contribution to the industry and has never looked back. Ladies and Gentlemen in 1991, a marriage made in heaven so to speak was started when Antigua and Barbuda was blessed in that we were the first Sandals resort to open outside of Jamaica. So this evening is particularly special for us as we as a nation are celebrating 25 years of a successful tourism nuptial with the Sandals Antigua Grande Resort this evening as well. We in Antigua and Barbuda are very proud that this year marks the 25th year of Sandals' operations in our country. It is a silver anniversary that is worthy of commemoration, for it has been mutually beneficial. Antigua has benefitted from Sandals, and in return Sandals has gained from Antigua. We have had a 'win-win' relationship. It is that winning relationship that we wish to continue. That is why, as we are in the final stages of negotiating a new 'Beaches' resort, we look forward to reaching an equitable agreement that is fair to all stakeholders. The Gaston-Browne government is determined to make this country the economic powerhouse of the Caribbean. As we succeed in that quest, so too will the business sector in our community succeed. The rising tide that we are creating will lift all boats – Sandals and the new Beaches included. With a fair and equitable arrangement for a 'Beaches' resort in Antigua, tangible and sustainable benefits will accrue to the developers, the investors, and the country as a whole. There could be no better prescription for another prosperous Butch Stewart property in a dynamic and flourishing Caribbean economy. We look forward to announcing very shortly to the people of Antigua and Barbuda and the travel and tourism industry worldwide, that Antigua and Butch Stewart have celebrated their 25th anniversary with a gift of another world-beating, premier 'Beaches' resort. My friends, I believe it is already well known that the Antigua and Barbuda economy is one of the few in the Caribbean that is growing at an appreciable rate. We recognise that tourism is one of the main drivers of that growth. We know, too, that tourism has the potential to be the continued locomotive of our growth. That is why my government is investing heavily in it. We want to give the travel and tourism industry, the infrastructure that it needs to build a superior product for the world's market. As you know, we have invested in a new airport terminal building with all the latest and most modern facilities. It offers the latest in travel technology from arrival to departure, from WiFi to one of the fastest baggage delivery times in the Caribbean. Through this investment have attracted more flights from the US, Canada and Europe. The success to which these flights have contributed is remarkable. Thus far this year, Antigua and Barbuda is experiencing double-digit year-over-year growth each month. This has benefitted the entire tourism industry, including Sandals, bringing a healthier financial performance to all. We have every reason to be pleased and to be encouraged. But, we do not regard what we have achieved as anything more than the beginning of a long journey. We will not rest on our laurels. We will continue to row with vigour the boat of our economy to the shores of benefits for all. In all this, I don't want any of you to be spectators, cheering our diligence and success. I call on you to join us; to become part of our success story; to embrace the win-win relationship that we are happy to offer. Now I would like make a few remarks about Sandals and its stellar example of good Corporate Responsibility. Sandals launched the Sandals Corporate University in 2012. The SCU represents Sandals Resorts' commitment to the professional development of its employees by providing them the opportunity to further advance their careers and knowledge. Equally, the Sandals Foundation is improving the lives and residents in all eight islands of the Caribbean where the Resorts are located. These investments pay dividends in the loyalty of workers; in their hard work and in their readiness to go the extra mile. No wonder, Sandals is regularly recognized as the Caribbean's Leading Hotel Brand, and wins awards at the elite travel award ceremonies around the world. The Sandals Resorts brand is without a doubt, not just a leading Caribbean hotel brand, but a leading hotel brand worldwide – leading the standard for providing guests the best service possible. That is why it is especially important that tonight we join Sandals in recognizing those that have been a part of this success. They are sure to be part of many more future decades of success for Sandals Resort. Ladies and Gentlemen, in our partnership with Sandals and all the stakeholders in the industry, hospitality remains our top priority; it is intrinsic to our culture. To all the visiting tourism officials and tour operators, tourism partners, and to the management and staff of Sandals Resorts, we trust that you will shine brighter, and brighter. Also, we urge you to return to Antigua and Barbuda, hopefully, time and again. We promise you, that with our partnership with Sandals and all the stakeholders in the industry, hospitality will remain our top priority, intrinsic to our culture, while bringing to you the supreme atmosphere in which commendation and appreciation are always part of your experience. Again I express our profound admiration and respect to all the awardees at this event. The success that you celebrate tonight is a matter of great pride to the people of this grateful country. May God continue to bless your efforts and bless our beloved nation of Antigua and Barbuda. Distinguished guests, Esteemed members of the media Ladies and Gentlemen... good morning and a warm welcome to you all. It gives me enormous pleasure to be here today for this groundbreaking ceremony. Today is yet another day in Antigua and Barbuda's leap towards fulfilling the expectations of the people and bringing another major investment The LABAHIA Hotel Resort & Condominiums – between the Adams Investment Management (Antigua) Ltd., and the Government of Antigua and Barbuda that will provide jobs, safety in housing, and the international acclaim that we in this country strive for as a tourist destination second to none. It is very appropriate and I must say a welcome courtesy to involve the local community and interested stakeholders in a ceremony such as this today. My Ministry, my Prime Minister, and the Cabinet in which I serve, have sought out and continue to attract credible investors with the expertise to assist in this country's transformation and sustainable national development. This right thinking government wants only the best for its people in this era of high competitiveness. It is precisely why we are here to endorse the progress made that has now led to the occasion of this groundbreaking ceremony. We have attracted the attention of highly professional investors in the construction and development business; and we have achieved under the assertive leadership of this Gaston Browne-led administration, tangible benefits that this country can be justifiably proud. Let it be known, that we in Antigua and Barbuda are extremely grateful to the directors of Adams Investment Management Group for their decision to choose Antigua and Barbuda as a key place in which to bring their comprehensive experience to bear fruit for the good of this nation. Adams Investment's mission, wherever it has gone, has demonstrated a track record of providing award-winning innovative designs, outstanding craftsmanship, state-of-the-art finishes, while bringing the functionality and unique living to work spaces for every lifestyle. Antigua and Barbuda is getting some of the best from the best! So I reiterate, that through Adams Investment Management Antigua Limited, the Government of Antigua and Barbuda has found a worthy joint venture partner. A partner capable of the kind of development that we require, with the expertise for building a modernised physical infrastructure in the interest of the people of Antigua and Barbuda. The general focus of this project, and beginning at this groundbreaking site, means that we are enhancing the prospects for success in our hotel, housing, and industrial amenities, which are all integral components in 21st century national development. Our new partnership with Adams Investment Management Antigua Limited, while placing the country on a trajectory to fast becoming the economic powerhouse in the region, will be specifically adding value to our tourism product, the main economic lifeline in this country. Ladies and gentlemen an impressive development will be built here at Friars Hill. Being more particular, I am advised that the multi-storied investment will boast 120 one and two bedroom fully furnished self contained luxury condominiums and several penthouse suites. In addition, the resort will include a 24,000 square ft. futuristic conference facility, a 300 capacity car park area, restaurants, a gym, tennis courts, gardens with walking paths, essential shops and an Olympic size swimming pool for an investment totaling US $52 million. I am also informed that the project has already received approval in principal from the Development Control Authority. This is indeed heartening as the total construction phase is projected to run between 18 – 24 months, to ensure that we all realize the benefits of this new investment as quickly as possible. business from the lucrative “Meeting, Incentives and Conference Events” (MICE) market. We envision that within the next two years Antigua and Barbuda will be hosting local, regional and international conferences to utilize these facilities in a Caribbean environment second to none. while at the same time capitalising on the opportunity for business travellers to vacation with their families. 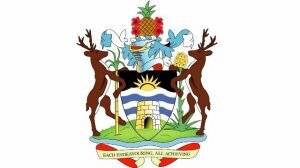 For our part as the Government of Antigua and Barbuda we are intricately involved. 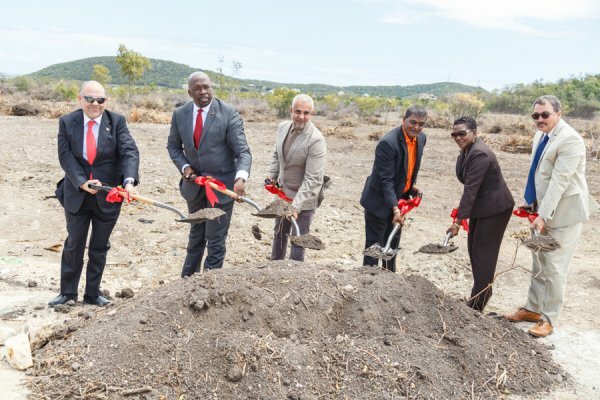 We are acutely aware of opportunities, possess the political will to act, and far-reaching in our ambitions to forge good business and person-to-person relations, we have decided to vest 10 acres of the Friars Hill land to the fulfillment of this project. No matter how big, how innovative and how exciting the project is, and how much it means to those involved, the Government of the day has to be able to create the enabling environment. Ladies and Gentlemen the Antigua and Barbuda Labour Party administration stands determined to utilize the monetary and all other available benefits that can be derived from the CIP to enhance this country for the benefit of all citizens and residents, and those that will visit our shores. With this major investment here at Friars Hill, comes another avenue for us to shape and utilise the skills present in the workforce, while expanding the technical knowledge that can become available. Our priority as a caring Government is to put to work our greatest resource – the Antigua and Barbuda human capital. Our people will get many jobs and I might also add that they will be good paying jobs! The opportunities for employment and the provision of goods and services that will flow from this fascinating project, will ultimately lead to growth and improvement in the lives of our people. hotel beltway, along with the adjacent Cedar Valley Golf Club are also in close proximity. This suggests that this development will be very important even as we formulate plans to improve the road works and other physical infrastructures leading to and from here. With the property also being 10 minutes from the Airport, It maintains that delicate balance between tranquility and convenience that is ideally suited to either the leisure or business traveller. As a forward thinking Government with creative solutions we have ensured that this parcel of land, through our partnership, will be of major significance and mutual benefit to all parties. 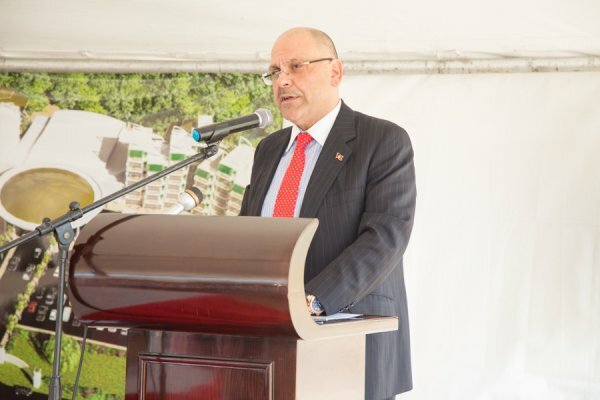 While development and construction will begin shortly, the payment for the land, which is some US $1.3 million dollars, is to take place after the project has been completed. 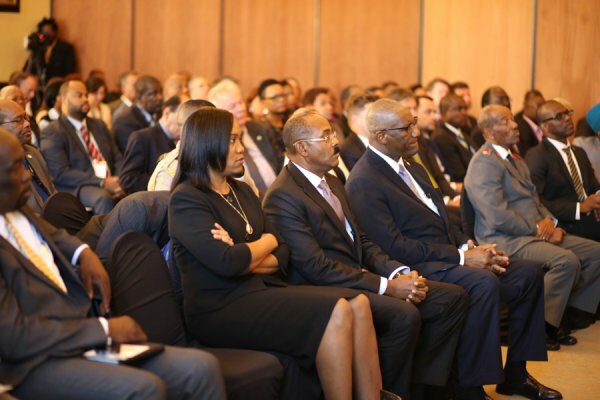 But the ultimate success of this project and in fact any project often rests on the relationship between the investor and the workforce and the Government here in Antigua and Barbuda. To that end, ouar Hon. Prime Minister Gaston Browne, and the Cabinet in which I have the honour of serving, have pledged and will give its strong commitment of support to enable that this project is not just completed, but done so without cost overruns and minus the man-made hurdles that can stymie a project of real potential and benefits for this nation. We also will entitle this project, in which the returns will be lucrative for our people and add to the portfolio of the Adams Investment Management Group. 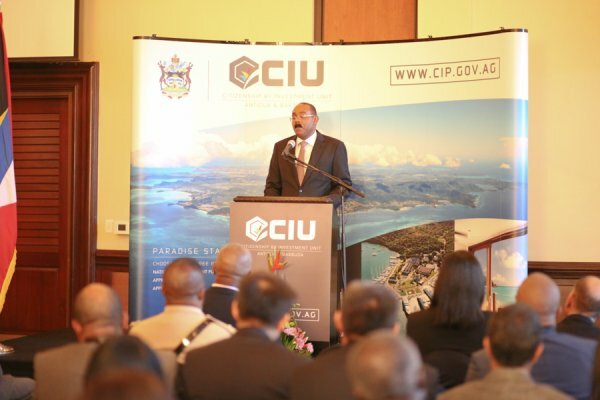 This means that Adams Antigua Investment Management Limited will be entitled to enjoy all the privileges, and concessions necessary that are accorded to other CIP projects. From what I envisage this morning, a lot of effort has gone into making sure all of these initial aspects are above board and transparent, which will allow the project to be completed as expeditiously as possible. We shall therefore all reap the benefits of this grand project in quick time. celebration today. It is truly an honour for me personally to serve in an administration that has been demonstrating month after month to the people of this great nation our proactive abilities in attracting new investment and facilitating the economic growth of our nation. This morning I would also like to recognise the investors and project developers, Mr. Imtiyaz Adam and Mr. Farman Ramjohn, both respected and well known accomplished businessmen from the Republic of Trinidad and Tobago who have made the bold decision to make a tangible investment in our country. On Behalf of the Government and People of Antigua and Barbuda we extend best wishes. We congratulate you and commend you for your vision in partnering with us in our own vision to develop and transform our beautiful country into an economic powerhouse in this region. Thank you for helping to position Antigua and Barbuda on a path to experience meaningful economic development for all our people. I am confident that what has been started on these 10 beautiful acres, is only the first step in the start of a mutually rewarding partnership with the Government and People of Antigua and Barbuda. We therefore wish you continued success in all your endeavours. Distinguished guests to include His Royal Highness Prince Mishaal bin Abdullah bin Turki Al-Saud Ph.D., and His Highness Prince Nawaf bin Abdullah bin Turki bin Abdulaziz Al-Saud from Saudi Arabia, both of whom have graced us with their presence here today. First, I welcome all those who are first time visitors to Antigua and Barbuda. For those who have been here before, welcome back. This is an important conference. 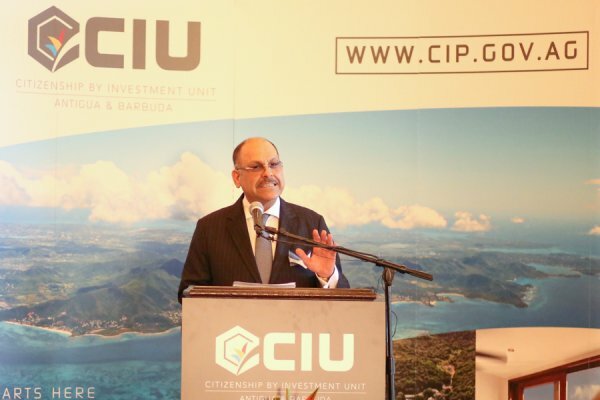 It gathers together key players in the Citizenship by Investment Programme (CIP) that now exists in many countries in the Caribbean. Since coming into office on June 12th 2014 our Prime Minister, the Honourable Gaston Browne, has challenged all his countrymen and women to realize the vision of transforming Antigua and Barbuda into an “Economic Powerhouse”. Our government intends to maximize on the opportunities presented by the CIP to attain this Vision and significantly improve the lives of the ordinary citizens. I need hardly say that the CIP is a fragile flower only recently come into bloom. It is so fragile that great care has to be taken to nurture and strengthen it so that it can withstand hostile winds that threaten to blow it away. The winds come from many sources, each with different motivations, but all capable of causing ruin. That is why every effort has to be made to explain the genuine purposes of the CIP; to show to those who fear it the benefits that it brings; and to assure those who question it of its integrity and safety. The CIP is not about 'selling passports' as its detractors proclaim. The CIP does not 'sell passports', nor does it give away citizenship. Access to citizenship and a passport has to be earned. And those who earn it have to subject themselves to the most intense scrutiny of their private affairs. It is scrutiny no natural citizen has to endure, or satisfy. The CIP is also not an opportunity for terrorists and criminals as portrayed by those who so easily tarnish it. To deserve citizenship and a passport, applicants have to satisfy very high standards of behavior; behavior that is closely examined by professional bodies schooled in investigations that leave no stone unturned. The reason that scrutiny is so intense and investigation so penetrative is precisely because we place the utmost value on our citizenship and passport. To get them, applicants must earn them, merit them, and be worthy of them. That is the ultimate criteria, and one that we enforce strictly, carefully and rigorously. At the same time, once citizenship and a passport have been granted on the basis of such demanding tests, and after substantial financial contributions to our economy, it is right, just and proper that the recipients be treated with recognition, respect and regard. The bargain works both ways. As Minister responsible for Investment I am convinced of the utility of the Citizenship by Investment Programme and publicly declare my support. It is as well that we should all recall why Caribbean countries embarked upon CIPs. We did not do so because the idea was novel; other larger countries such as United States, Canada, the United Kingdom and Switzerland has been according citizenship through investment long before we started. They did so because, even though their economies were large, they needed new investment to help promote economic growth, create employment and generate business. Our needs, as small countries, are no less than theirs. Indeed, our needs are greater. In the international community, we suffer from poor terms of trade; unfair and harmful practices directed at our financial services sector; and no access to capital markets except on usurious terms. We are denied access to concessional financing; and we are the victims of global warming and climate change. We need foreign investment even more than larger countries to create jobs, provide health and education, look after our elderly, raise living standards and to give our young people opportunities to fulfill their potential. The role of Foreign Direct Investment in stimulating and facilitating economic development is undisputable. There is ample empirical evidence that shows that Investment Projects contribute to the generation of additional foreign exchange earnings and the creation of employment opportunities. Ultimately, this all contributes to improvement in living standards with concurrent reduction of poverty levels. That is why we introduced the CIP. That is why we nurture it. That is why we want it to bloom in abundance. The theme of this Conference is Security and Safety. For, we should use every opportunity to show the world that our CIP is safe and secure, for their people as much as for our own. We are constantly overhauling our Programme to comply with the highest international standards. We will continue to do so energetically. The brand we are offering is veracity, transparency and accountability. In the Caribbean, we are also offering something else; something that is quintessential to life and its enjoyment; and that is safety. As we consider the regions of the world, insecurity stalks everywhere – the Mediterranean, Africa, Asia, Latin America and Europe. For investment and for tourism that quality of safety is precious. But to keep it, to maintain it, to preserve it, we need more investment so that our idyllic life style continues to thrive and flourish. That is the circular nature of the CIP; we are attractive to investment because we are safe; to remain safe, we must attract investment. Ladies and gentlemen, we should not apologize for our CIP; we should uphold it; and stand up for it. For, it is a good product that is providing great benefits for our economy and our people. Like, everything else, it could be better. And to make it better is what should be our collective goal. For the better it is, the greater gains it will provide for the advancement of our countries and the betterment of our people. So, in sincerely welcoming you all here, I urge you to have a productive Conference, and it is my hope that in spite of your limited time you will use the opportunity to sample some of many tourism oriented delights. As Minister responsible for Tourism I have a personal stake in ensuring that you find that ideal mix of work and leisure that will make your stay in our island memorable. Our people depend on it. Ukrainian Ambassador Pays Courtesy Call on Minister of Tourism, Economic Development, Investment and Energy. Minister of Tourism, Economic Development, Investment and Energy the Hon. Asot Michael yesterday (Tues) laid the basis for future collaboration with the Government and people of Ukraine when he met with the Ambassador of Ukraine for the United States of America, His Excellency Valeriy Chaly. The Ambassador presented his credentials to Minister Michael who used the opportunity to inquire into prospects of collaboration between both countries in the areas of tourism education, medicine, as well as investments. Speaking on the composition of his native country of Ukraine, Ambassador Chaly noted that vacationers there usually visit Egypt, Europe or Crimea, however, the time has come to diversify. The newly ratified European Open Space Agreement will allow for ease of travel for European Airlines into the Ukraine and as such will enable travel to Antigua and Barbuda as a vacation destination. At the moment the challenge presented relates to the fact that little information is available in the Ukraine about the Twin Island destination. 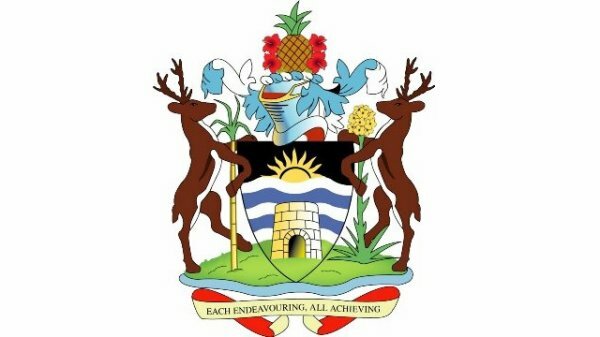 Already plans are in the pipelines to establish an Honorary Consul in Antigua with the hopes that both countries can cooperate more on the development of economic ties. Minister Michael extended an invitation to the Ukrainian President as well as other chief officials to make an official visit to the country to engage in further bi-lateral talks. The team of Ambassador Chaly and his assistant also paid a visit to the Attorney General the Hon. Steadroy Benjamin where talks surrounded the issue of police reform.